Joy ~ Another UFO Finish! 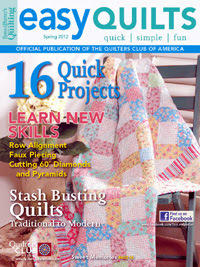 Hop on over to Patchwork Times Blog and see some of the other UFO Challenge projects getting completed. The magic number for April is #10, which on my list is to quilt my Jo Morton Mini Baskets quilt, so if life doesn't get in my way, there's more quilting in store for me this month! This is my current Work In Progress. It's my UFO Challenge project for this month (I don't know why I always wait until the end of the month to work on it?). These are my version of the BOM Blocks that Ann from Bunny Hill Designs gave out about a year ago. 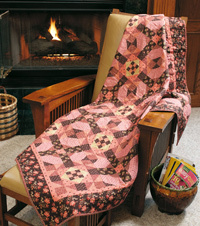 Check out the WIPs of others by clicking on the button above and going to the Quiltsy Team blog! Just popping in with a little Show & Tell today. This beautiful sampler was cross stitched by my daughter Heather (insert Mom bragging tone here). Heather loves Repro Samplers, and this one was a Stitch Along that she took part in at The Stitching Post, our local needlework store (they also did the framing job for her). 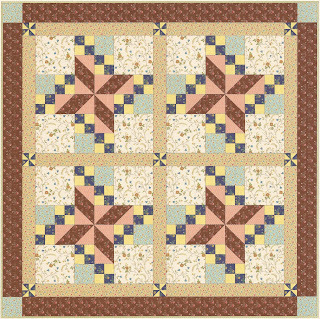 It's called Birds of a Feather Mystery Sampler designed by Brenda at With Thy Needle and Thread. Here are the pictures of the finished Easter Ornaments that I promised the other day back in This Post. This is the Angel that I hadn't had finished last Wednesday. And I did add a few jewels to that crown. So it's WIP Wednesday again, and here's what's on my plate at the moment. The Pastor at my church asked if I would make some ornaments for the Children's Easter Tree. These are some of the symbols that she requested. I'm fusing the shapes to Timtex stiff interfacing. 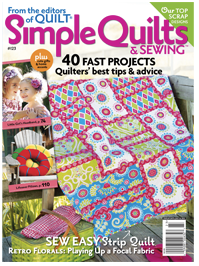 For some more WIP Inspiration, check out the Quiltsy Team blog by clicking the button above. My good friend Cathe even donated this lovely adult sized quilt to go to some happy big person. I'm sure it will be appreciated and provide warmth for many years to come! Thank you all for your generosity, I'm so blessed to have such good friends! 1. 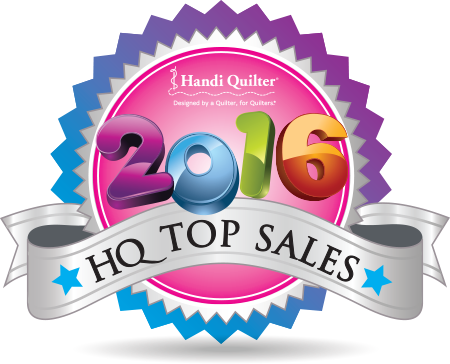 Big News in the Quilty World: It's that time of year again ~ The AccuQuilt Barn Quilt Design Contest starts today! 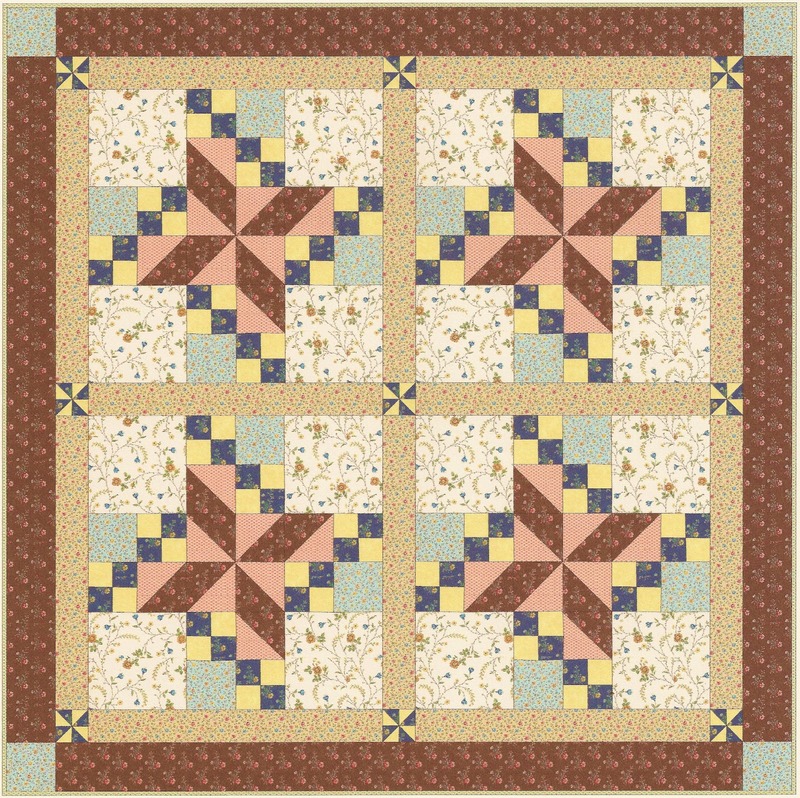 Design a Barn Quilt Block (or several) and submit between now and April 9th. 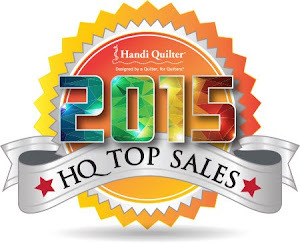 One lucky winner will receive a $1,000 AccuQuilt Shopping Spree along with a trip for two to Omaha, NE, to visit AccuQuilt’s new headquarters for the public unveiling of the winning barn quilt design. 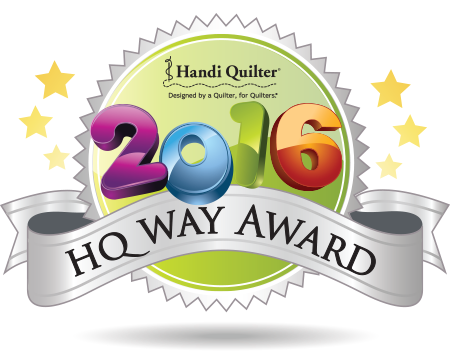 In addition, the runner up contestant will receive a $250 AccuQuilt Shopping Spree...And the winning design will be proudly displayed on AccuQuilt’s new home office! 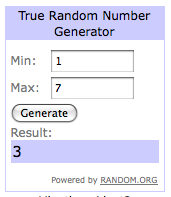 Click on the button above (or on my sidebar) to go to the Barn Quilt Contest page for all of the entry info. The past two years I've waited until too late to submit and entry, so this year I wanted to jump in early. 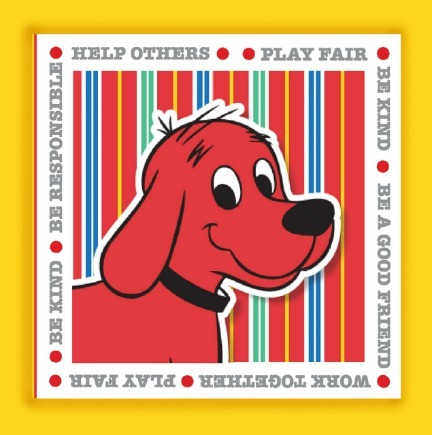 It's easy and fun, check it out and design a block with me! 2. 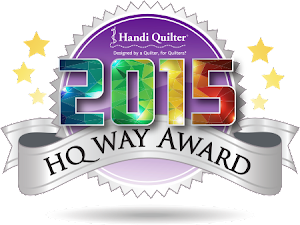 And in other Quilty World news ~ Have you heard about this in honor of National Quilting Day? The Quilt Show with Alex and Ricky Free all weekend! 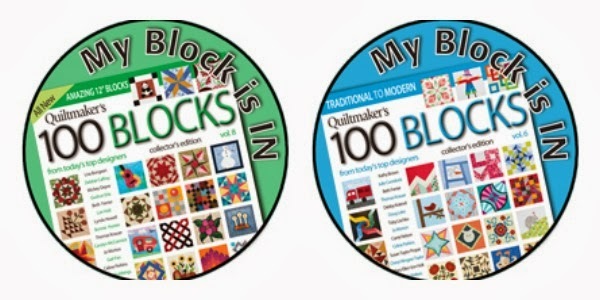 AccuQuilt and TheQuiltShow.com have teamed up to give you the ultimate experience for International Quilt Day! 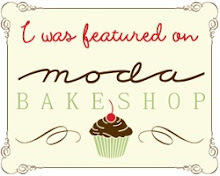 Join us March 16-18, 2012 as we celebrate all things quilting! ...And it came with four little bonus napkins! Most of the hand embroidery is in wonderful condition, so I knew I would want to re-use the ones that I can in some way. After all, someone went to a lot of trouble to stitch all of these cute little flowers, they need to be enjoyed, even if the linen they're on is in not such great condition any more. This is the stunning little pincushion made by someone else in the guild that I came home with from the meeting! I love miniatures and the colors are so vibrant in this little beauty. Meet my Cherries Jubilee quilt design ~ And this is it's photo as it appears in the current issue of Fon's & Porter's Easy Quilts magazine (Summer 2012 issue)! Doesn't she look cozy :) I designed and pieced the quilt, and my friend Mary Nielsen of Keep Me In Quilts did the quilting on it.